Ordering from Ace Trading Post is fast and friendly. First let ATP know the Grade of Lumber needed for your Project. If you don’t know let our friendly staff help you choose the right Grade, different applications require different grades. Structural Timber, Fences, Stalls, Barns, Corrals, Boat Docks, Trusses or whatever your project might be, we have the right Treated Lumber to make it work.Have a Special Design? Ace Trading Post can Custom Cut or Mill your order. 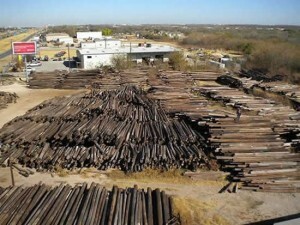 We have Thousands of Utility Poles in our yard ready to be purchased Whole or Milled. All of our poles are sold on the condition and age of the pole. The diameter on these utility poles range from 10 inches & up. Delivery is available for an additional fee. Please call for pricing. We accept Visa, MC, Discover, Cash or Checks. We can custom cut utility poles into lumber for you.